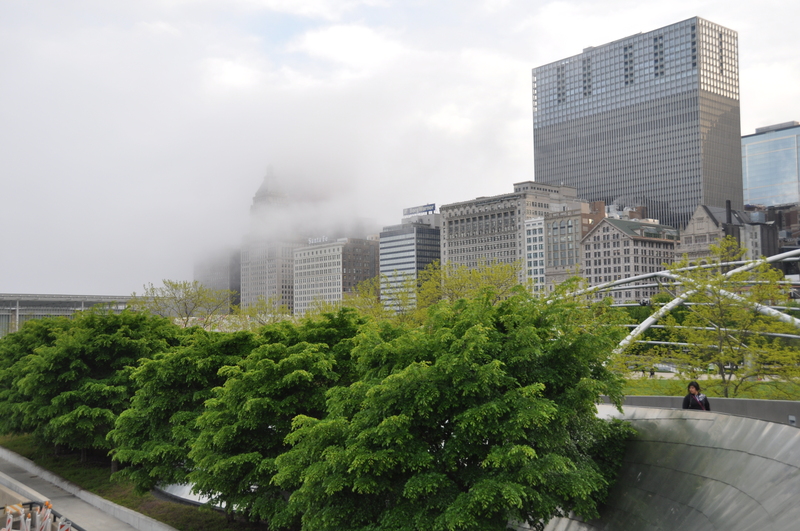 Here is a photo from atop the BP bridge heading to the Pritzker Pavilion. You can see the fog rolling in and engulfing the city skyline. This entry was posted in Architecture, Chicago, Nature, Skyline, Weather. Bookmark the permalink.